This week I’m showcasing some of my favorite patios from Pinterest. 1. I love the big sign! 2. How happy is this?! Don’t you just love the bright colors? 4. 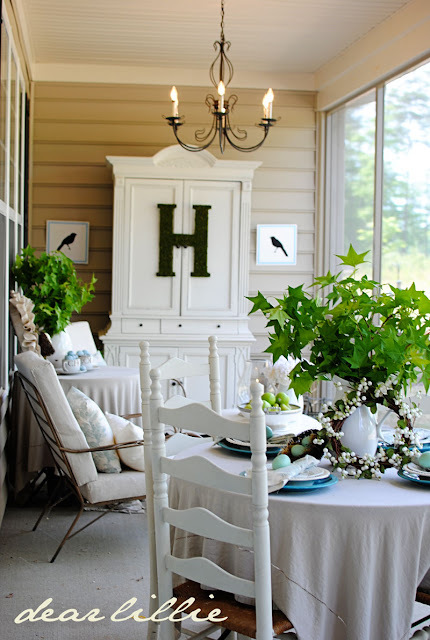 Very pretty – love the green. 5. I like the idea of furniture pieces on the patio. 6. 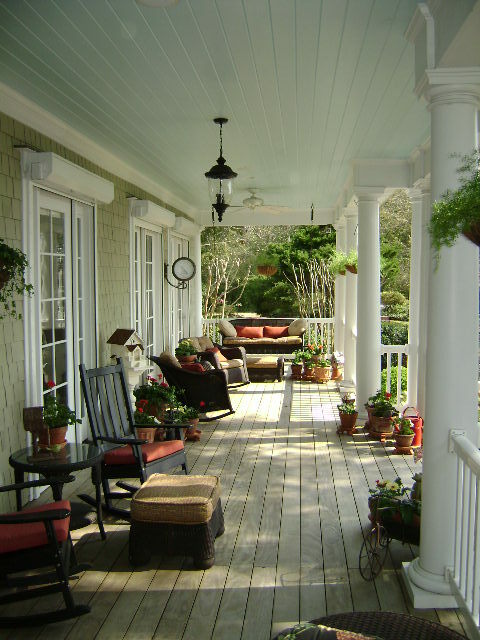 Love the light blue ceiling (see #7) and the clock, which you can see from any direction on this long porch. 7. See my posts on haint blue ceilings like the one below here and here. Love the grass cloth ceiling fan, and the outdoor kitchen! 8. Great pops of yellow on black! 10. Love the striped cushions and this rug!